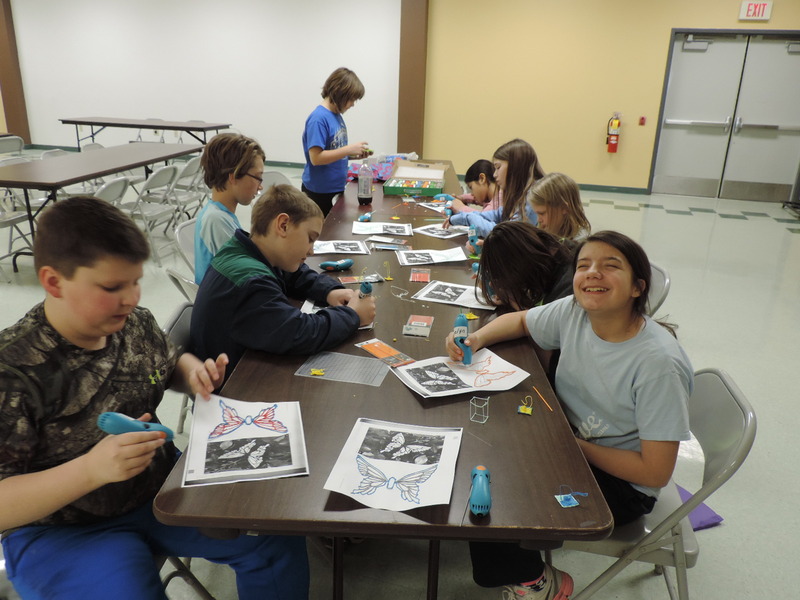 Graceville Public Library | 3 DOODLE CLUB ROCKS! 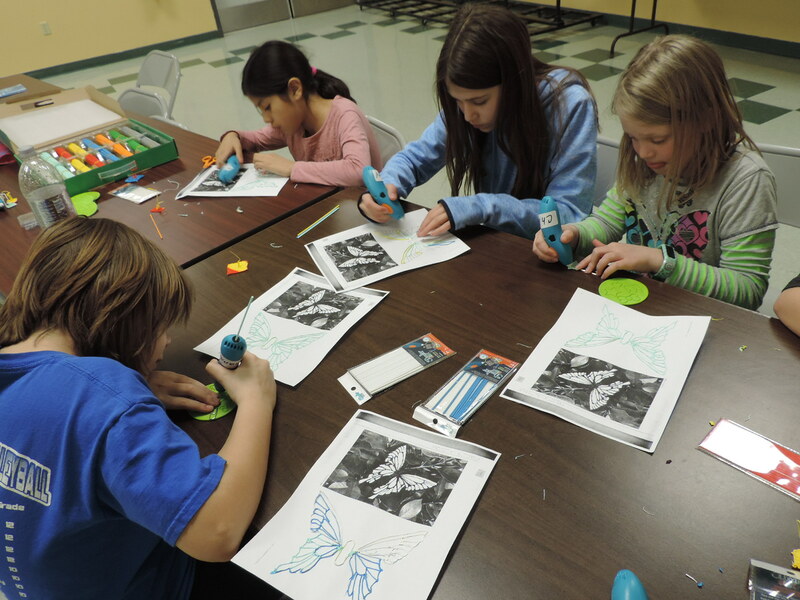 The kids hard at work and play during 3Doodle club yesterday. They are tracing their butterflies and by next club date will be ready to fill the wings in with all sorts of different colors. Cookies and juice to make the class that much funnier and we had a great time! « 3DOODLER BOOT CAMP BEGINS! !